Check out Part I of our biography of singer/pianist Armand St. Martin, exploring his coming of age in the musically-storied city of New Orleans, involvement with such institutions as the Krewe of Alligator and Tipitina’s, and his early musical career. In 1981, Armand St. Martin went out to Los Angeles to perform and record with fellow Louisiana roots musician and songwriter Julie Didier. 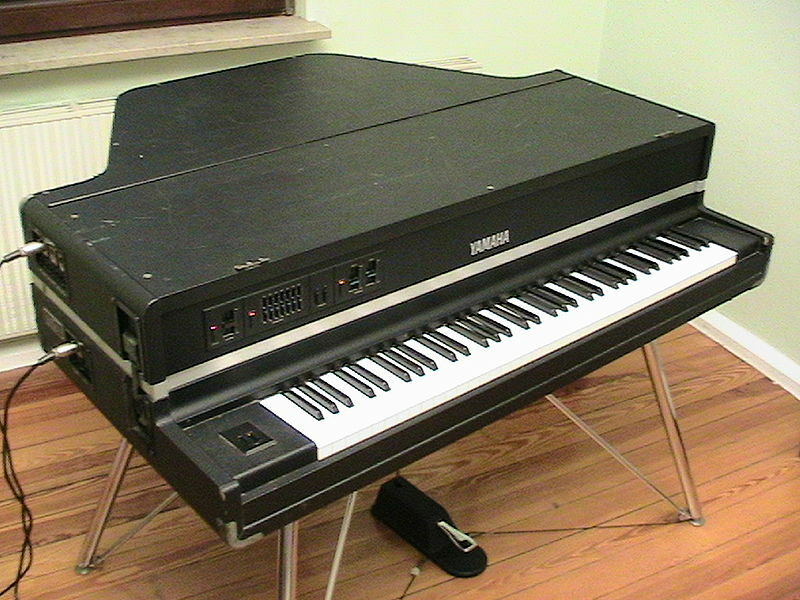 One day during the trip, St. Martin was sitting at the Wurlitzer electric piano in Didier’s living room and playing Professor Longhair’s “Bald Head” when her friend, songwriter and musician Micheal Smotherman walked in. Serendipitously, Smotherman was looking for a synthesizer player to back him on his upcoming tour. After hearing St. Martin’s rendition of “Bald Head,” Smotherman hired him on the spot. “So, I went out to L.A. for a quick visit but ended up staying there,” St. Martin says. Originally from Oklahoma, Smotherman was already a veteran country songwriter. No less a personage than Glen Campbell has recorded an entire album of Smotherman songs, 1978’s Basic. His other writing credits include Ray Charles, Trace Adkins, Lila McCain and Deana Carter. At the time of their meeting, Smotherman was in Los Angeles pursuing the performing rather than songwriting side of his career. He had landed a recording contract with Epic Records, exploring a sound which, while still rooted in country, embraced much of the pop aesthetic of the day. As part of Smotherman’s tour band, St. Martin found himself in the company of many other formidable instrumentalists including Little Feat bassist Kenny Gradney and drum legend Dony Wynn. Both of these artists became lifelong friends as well as musical collaborators of St. Martin’s, appearing on the bonus tracks of his album Alligator Ball. 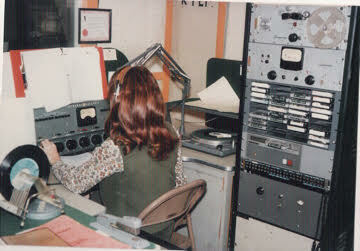 Always hard at work: Patty Lee as a DJ at KVOF-AM, El Paso, 1970. The most important new acquaintance St. Martin made in California, however, was neither Smotherman nor the musicians in his band. Rather, it was Patty Lee, another friend of Didier’s. St. Martin and Patty Lee instantly connected. And, with her background as a music journalist, stint in the rock department at ICM management/talent agency and writing skills honed working with major movie producers and comedian Wayland Flowers of “Madame” fame, they had plenty to talk about. Patty Lee was added as the on tour press agent for Smotherman. The couple married in Northern California in 1984 and honeymooned in New Orleans. As St. Martin’s association with Smotherman’s band continued, the outfit’s sound evolved from pop through a jazz-inspired period into rock-and-rhythm with a bluesy feel and finally into a style owing much to rockabilly and New Orleans music. 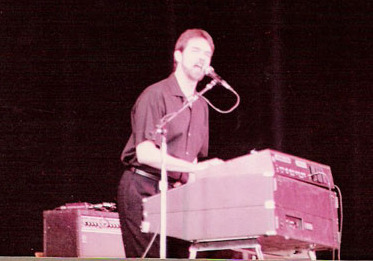 St. Martin on tour with Micheal Smotherman, Saratoga, NY, 1982. After several years of working with Smotherman and the rest of the band, comments like those of Warhol and Smotherman’s agent as well as his own increasing comfort with songwriting helped St. Martin realize the time had come for him to go solo. “I had been writing my own songs and I felt I was ready for it,” he says. “Patty and I decided we’d jump on it and do it. We opened our suitcase, so to speak, to begin our solo work. Patty Lee began putting her ICM and press experience to use for my career, booking me and working on the business end of things.” It is a role Patty continues to play to this day. 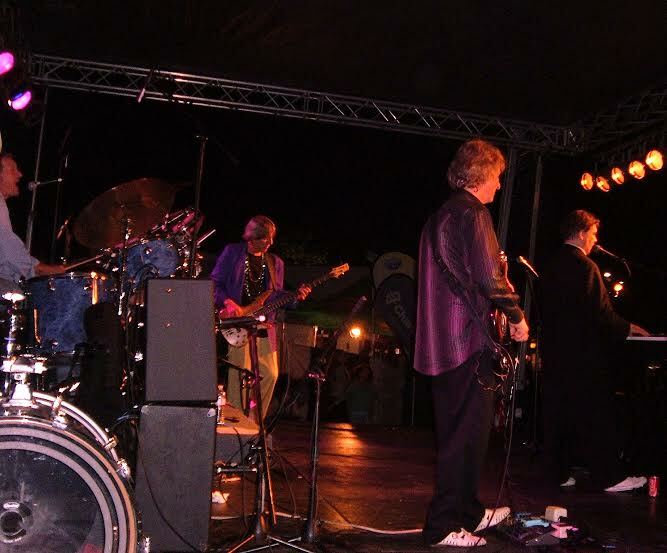 The band played their debut show at the popular venue Blue Lagoon, located in Santa Cruz, California. In the following years, the Creole Liberation Front played throughout Los Angeles and beyond. One of their performances in particular is still spoken of in the L.A. musical scene. 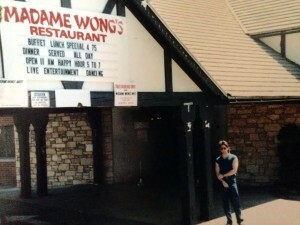 The band was playing at Madam Wong’s Santa Monica, the second location of a celebrated LA club chain which became a rallying point for the nascent West Coast punk and New Wave scenes. St. Martin remembers the night, “I had just written ‘Boogie with Me,’ which became one of our most popular numbers. It’s a two person song, a really solid boogie-woogie number, and it just swings. I remember having the bass riff going on my piano and the whole audience jumping up and down in unison in time to our music. The whole place was vibrating in time to what we were doing.” The show was such a draw and the crowd so enthusiastic that Madam Wong’s occupancy limit was drastically exceeded and LAPD and fire marshals showed up to turn people away from the show. That epic night helped St. Martin’s two-piece combo become the top draw in the history of the venue. 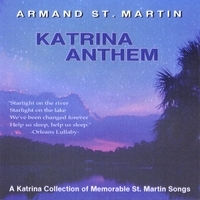 One Creole Liberation Front song, “Louisiana Frenchman,” is not only among his best-known songs, it is the epitome of St. Martin’s mission to promote Louisiana and Louisiana music through his songs. Another song, “Louisiana Frenchman,” tells the tongue-in-cheek story of a hard-core Louisiana native who wants all the lands of the historical Louisiana Purchase returned to the state. Along the way, it celebrates the influence of New Orleans on the nation as a whole. In 1987, the Creole Liberation Front evolved into the Bayou Bohemians, St. Martin’s current band. The song’s energy and message quickly gave it a life of its own. “Everywhere Else It’s Just Tuesday” marked the beginning of an issue with which both St. Martins have become inexorably associated, the campaign to make Mardi Gras a national holiday. They found themselves collecting signatures and writing letters in support of the idea that had begun in his lyrics. The effort has received positive responses, including letters of support from Mayors of New Orleans and Los Angeles as well as a Senator from California. As with his days in the Creole Liberation Front, St. Martin acknowledges that not everyone is cut out to be in The Bayou Bohemians. His music is a mélange of American musical styles, all of them credibly executed, and the Bohemians’ musicians must be fluent in each of them. “When I bring a musician into the band, I can tell pretty quickly if they are flexible enough moment to moment to follow the styles,” St. Martin explains. He is too modest to mention that any prospective Bayou Bohemian must, of course, also be able to keep up with one of the fastest and most dedicated set of hands in the business. “My philosophy is to do my best whether I’m playing for one person or 10,000 people. Give them all you have and play your best, play your hardest,” he says. The Bayou Bohemians headlining Lobster Fest, Long Beach, CA, 2009. Billboard Magazine described the style of St. Martin’s late 70s and early 80s outfit, Satisfaction, as “rock and rhythm.” St. Martin often describes his music as “Sophisticated Roots” or “Pan-Louisiana.” By any name, it is a distinctive sound, fusing both a rocking boogie-woogie and smoother, syncopated R&B influences. That same flavor can be found in all of his projects. Like any veteran roots musician, St. Martin’s sound is complex one, layered with many different styles and eras of America’s musical history. St. Martin himself prefers the term, “New Orleans Rock and Roll.” It is a solid description: his frenetic, high energy keyboard work and grounded backbeats easily pass the rock and roll litmus test. At the same time, the varied other influences of his music — boogie-woogie, rockabilly, country, blues, R&B, jazz, Cajun and Zydeco — read like a roll call of NOLA’s musical heritage. In the true spirit of New Orleans music, St. Martin is perhaps most celebrated for his live performances. He has, however, released three excellent albums on CD, Alligator Ball (1996, with a 2003 digitally re-mastered reissue), Sizzlin’ (2003) and Katrina Anthem (2008). Each album is a worthy collection of keyboard driven, feel-good roots music dripping with the Big Easy sound– though, unsurprisingly,“Katrina Anthem” also contains serious thematic elements. In addition, for the true format connoisseur, a CD single of “Last Time in Texas,” a five-song EP cassette entitled “Be Your Own Parade” and a 45 rpm including “St. Expedite” and “Must be the Mardi Gras” also exist. Much can be learned from listening to how an artist talks about his or her music. Discussing his songs on each album, St. Martin reveals not only an enormous passion for what he does but also a great ear and memory for music as well as a deep understanding of musical history and style. Mention any of his recordings to St. Martin and he can recount in detail the back story behind the songs, its influences, nuances of its style and composition and even anecdotes about the recording session. This makes it difficult to ask him about his “favorite songs” because he clearly loves all of them. Nevertheless, there are a few of which he speaks with particular passion and detail. His debut CD, Alligator Ball, contains St. Martin’s unofficial Pelican State anthem “Louisiana Frenchman.” Beyond its memorable story, the number’s heavy roots sound tips the hat to the state’s rich musical history. “Out on Patrol” showcases St. Martin’s talent with more straightforward rock and roll. “Creole Good Bye” is a beautiful nod to the state’s Cajun heritage. “Other Girls Don’t” delivers an irresistible Fats Domino-esque 6/8 piano rock number. “St. Expedite” tells a classic New Orleans tale, played in a solid contemporary Zydeco style. “Must be the Mardi Gras” is frenetic piano rock in the style of Professor Longhair that showcases St. Martin at his finest. 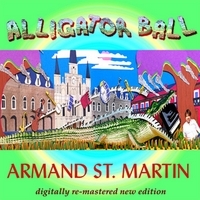 Five of the songs on Alligator Ball were actually recorded as an EP cassette at an earlier St. Martin session in Burbank, California and are included as bonus tracks on the CD. While there are no mediocre songs on the album, these bonus tracks are consistently some of its strongest and most memorable. In addition to St. Martin’s world class piano playing, his three albums feature a galaxy of other artists who are worthy musicians in their own right. “These musicians are incredible, they are all masters of their craft,” St. Martin says. 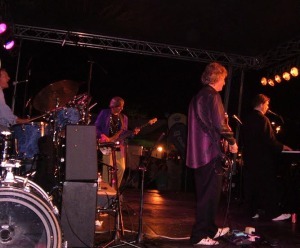 Three of these, bassist Gradney and drummer Wynn, and late harmonica player “Hurricane Jake” Fitzgerald, are associates from St. Martin’s days with Micheal Smotherman. Three other heavy hitters appear on St. Martin’s earliest release, recorded at Southcombe Studio in Burbank. Saxophonist Steve Allen, formally of Rita Coolidge’s band, is now a well known frontman. Kirk Bruner, who worked with Melissa Manchester and Mac Davis, is St. Martin’s longstanding drummer and also makes an appearance on the release as backup singer and trombonist. Finally, producer Paul DeVilliers steps into the other side of the studio by lending his guitar talents to the album. St. Martin with some of his fellow Bayou Bohemians and recording collaborators (Left to right: Kirk Bruner, Lindsay Gillis, Armand St. Martin, Marabina Jaimes, Stanley Behrens, Hedy Mayer, Chris Stendahl). Others talents featured on St. Martin’s recordings include Stanley Behrens, former harmonica player for Willie Dixon, Canned Heat and War, who is also a gifted saxophonist; the late Danny Federici, organist for the E Street Band, on accordion; the late Doug Atwell on fiddle and Lindsay Gillis on guitar. St. Martin acknowledges that guitar is the sound he was most resistant to including in his music. “It’s so easy for a pianist and guitarist to step all over each other’s lines,” he says. Gillis, however, he glowingly describes as a stellar guitar player. For backup vocals, St. Martin turns to a roster of seasoned voices: singer and Emmy-winning actress Marabina Jaimes, Hedy Mayer (backup singer for Paul Revere and the Raider’s Mark Lindsey), Margie Nelson, Samantha Newark (backup vocalist for Leonard Cohen) and veteran performer Nancy Williams. NEXT WEEK, in Part III: St. Martin’s life back in The Big Easy, the impact of Hurricane Katrina on St. Martin’s life and music, his activities beyond the keys & microphone and his recent projects. 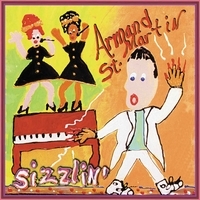 Armand St. Martin on Last FM, CDBaby and iTunes.